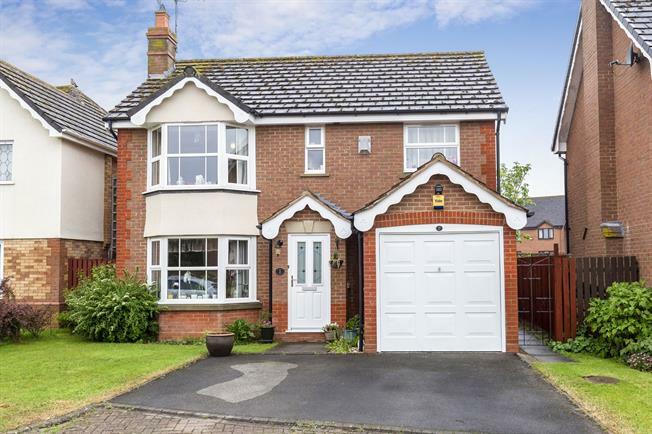 4 Bedroom Detached House For Sale in Cheltenham for Guide Price £375,000. The well planned accommodation comprise entrance hall, cloakroom , kitchen with built in double oven and dishwasher, dining room with patio doors to the garden and sitting room with feature fireplace. To the first floor there is a master bedroom with en suite shower room, three further bedrooms and a bathroom. Externally it offers a pretty and enclosed rear garden, front garden, off road driveway parking and a garage with plumbing for washing machine. Further benefits include gas central heating and uPVC double glazing. Range of base and eye level units, double oven and gas hob and integrated dishwasher.